If you're looking to relocate to a dynamic city, look no further than Washington, DC. Populated by highly educated professionals who largely work in and around the government, DC has influence across the the world. Here are a few additional reasons for moving to D.C. The Metro public transit system of trains and busses is one of the best in the country. In addition, with the availability of Zip Cars and other ride-share programs you may not need a car if you live and work within the District. DC is also known as a highly bikable city with dedicated bike lanes and several major bike paths including the historic Chesapeake & Ohio Canal that runs 219 miles from Georgetown, D.C. to Cumberland, Md. Despite the City's preoccupation with power, residents still embrace their sports teams. DC maintains professional teams in the NFL, NBA and MLB with all three teams playing competitively in their respective leagues. 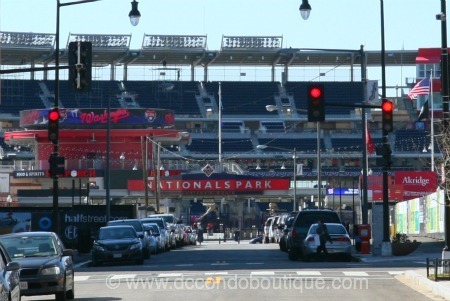 The Verizon Center in the Penn Quarter and newly launched Nationals Park on the Capitol Riverfront are both family-friendly venues in which to see your favorite teams in action. If you love sports or want to be able to introduce your kids to some of the best professional sports in the world, this is a great place to do it. 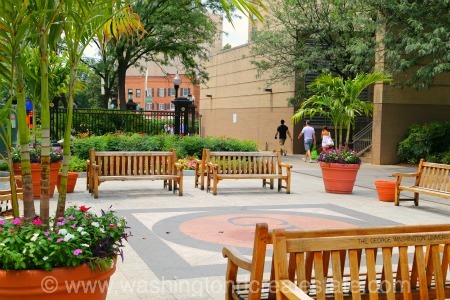 DC is an incredibly romantic city with a number of spots that help set the mood for that first kiss or even a proposal. The serene Lincoln Memorial is a favorite spot at night as is the terrace at the Kennedy Center in Foggy Bottom overlooking the Potomac and lights of the city. While DC is typically not known as a high-fashion city on a par with New York or even Chicago, it has played host to its own Fashion Week for ten years running. The event typically takes place in February and showcases emerging international designers from all over the world.